Eisoptrophobia is a type of phobia in which the person feel fear watching mirror. The patient is fear of not only seeing himself in mirror but also fear of watching others in mirror. It is also known as mirror phobia. The eisoptro is a Greek word which means “mirror” and phobia means “fear”. This fear have an interesting history of generation from the time when people use still ponds and still water to look into as a mirror. The patient have a belief that the mirror image is some kind of their soul looking back at them and trying to frighten them. Most of the people get the idea about this phobia from the Hollywood movie snow white in which the witch uses mirror to see who was the fairest. Eisoptrophobia is kind of a specific phobia which is related to many other phobias like catoptrophobia which is also a fear of mirrors. Most of the people mix the Eisoptrophobia with isoptrophobia which is the fear of termites. Eisoptrophobia is an irrational fear of mirrors. 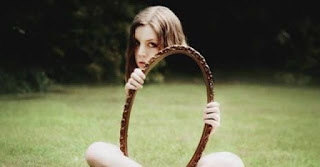 Most of the people involved in Eisoptrophobia, are afraid of their image comes out instead of the mirror. This phobia can have deep social implications. The research about phobias reported that the phobias may occur due an external event happen in patient’s life like some kind of trauma or incident and the other main cause reported is the genetics and heredity. These two are the predisposing factors. Some phobias are generated as a result of a traumatic injury occurred at the younger age or childhood. The above mentioned reasons i.e. genetics, heredity, socializing and any external trauma and incident may collectively be responsible for such phobia. The symptoms regarding phobia are totally dependent on the stage and severity of phobia. The level of fear patient facing. The main symptoms associated are: the patient feels anxiety on extreme level, always avoid his reflection and most of the time feel dreadful. The patient if come in contact with the mirror or his reflection, he got panic and feel shortness of breath, and may respire speedily inhaling more oxygen, and the patient may sweat or heavily sweat along with irregular heartbeats. Along with above mentioned symptoms, the patient also feel nausea, dizziness, dry mouth and inability to speak anything. Eisoptrophobia is a phobia which can be treated with the medication therapy. The medicines are of help but they also produce side effects. These side effects and withdrawal of the medication therapy can be prove fatal for health. There isn’t any permanent treatment of the phobia. The medication therapy also do not permanently cure the phobia but only suppress the symptoms of phobia temporarily. The treatment include the counseling of patient, hypnotherapy and psychotherapy. Other than these therapies the neuro linguistic programming therapy is also performed. Patient feel relax at the continuation of these therapies.